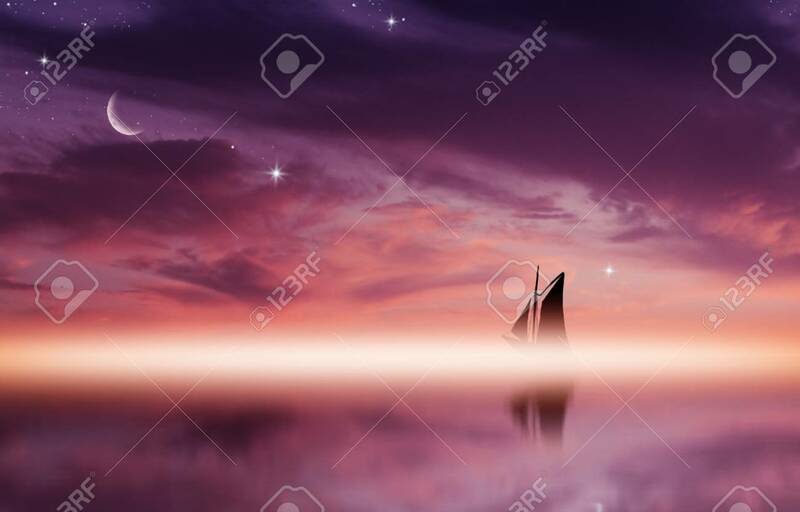 Amazing Sunset Picture With Fluffy Clouds, Crescent Moon And Silhouette Of Yacht Against Sun Rays Reflected On The Water Surface. Lizenzfreie Fotos, Bilder Und Stock Fotografie. Image 115452730.